WordPress administrative panel, which allows management to your WordPress site, can be accessed within apnscp via Web > Web Apps. 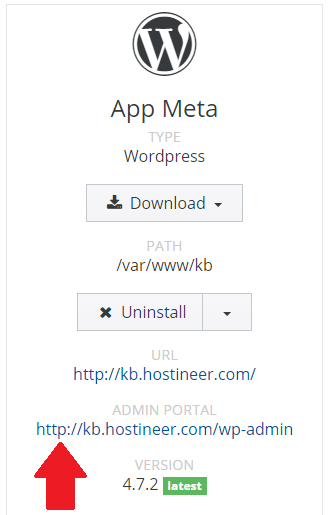 Select the domain where WordPress is installed. Click Detect if necessary. Click on the link under ADMIN PORTAL. If you have forgotten your login or password, click on “Change Admin Password” in Web Apps.